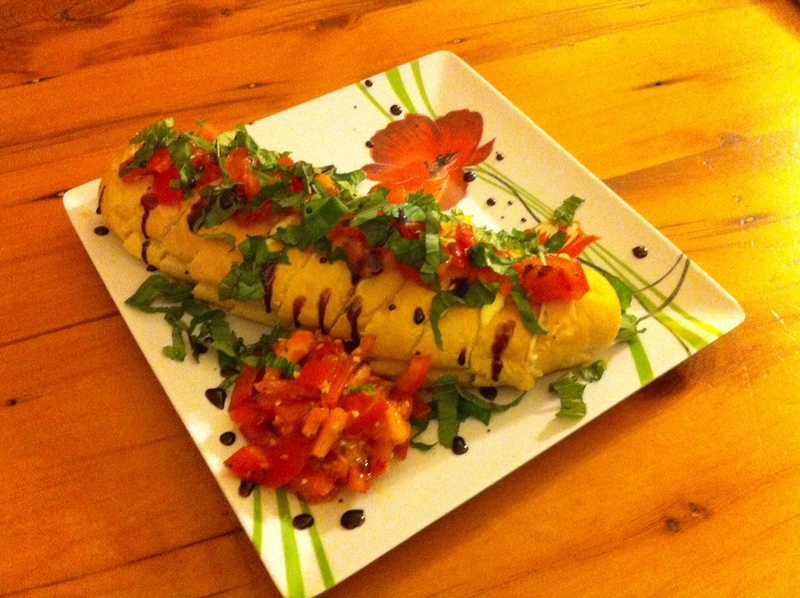 A staple at the campground is our Caprese Bruschetta Pull Apart Loaf. It makes for a delicious lunch, supper or late night snack! It is especially delicious when made with homegrown tomatoes and basil. We made it for supper tonight and it inspired this post! Mix the olive oil and bruschetta seasoning in a small bowl. Dice two plum tomatoes and add it to the bruschetta dressing. Let the tomatoes marinade for 30 minutes. Meanwhile you can begin to prepare your balsamic reduction. Bring to a boil, in a small saucepan, the balsamic vinegar and honey. Once it reaches a boil, reduce the temperature and continue to simmer till it is thickened or about 10 minutes. While the reduction is reducing, you can prepare your pull apart loaf. Make slices down the length of your baguette, each slice should be about 1 inch thickness. Be careful not to cut all the way through your loaf. Gently separate the slices of bread with your fingers and insert a thin slice of mozzarella in between each slice. Wrap the loaf in aluminum foil and put it in oven for 8 minutes, or until the mozzarella is melted. To assemble you will begin with your warm pull apart loaf. Gently sprinkle some of the tomato mixture on top of the baguette. The remaining tomatoes can be placed on the side of the plate. Chiffonade some basil and place on top of the baguette. Drizzle the balsamic reduction over top of the pull part loaf. Salt and pepper the loaf, to taste. We like to serve this with a nice garden salad! 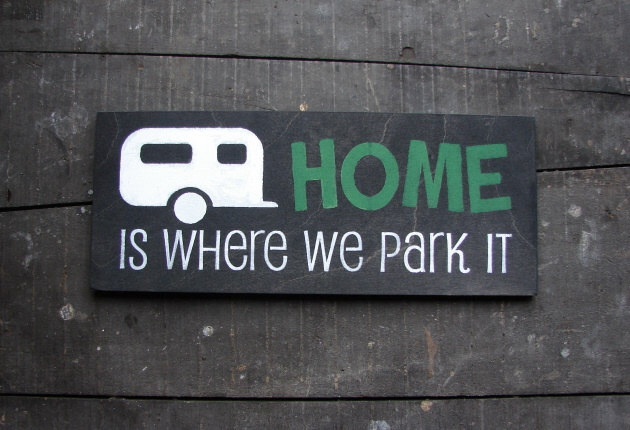 We actually make this over the hot coals or in our BBQ when we are at the campsite! This entry was posted in Fantastic Food & Recipes and tagged Baguette, balsamic reduction, balsamic vinegar, Bruschetta, Campfire, Camping, Caprese, Cooking, Food, homegrown tomatoes, plum tomatoes, Pull Apart, Recipe. Bookmark the permalink.